“Batman and the Joker” is the Ultimate Reference Guide to the World’s Most Iconic Rivalry! Batman and the Joker. It’s next to impossible to imagine one without the other. For close to 80 years, their twisted and tangled relationship has come to define the word “archenemy.” Now Eaglemoss Hero Collector, designers, manufacturers and publishers of high-quality collectibles from across the many worlds of pop culture, invites fans of every generation to dive into the fascinating history of these two iconic characters, from The Joker’s first appearance in 1940’s Batman #1 through to each and every one of his many modern day incarnations. 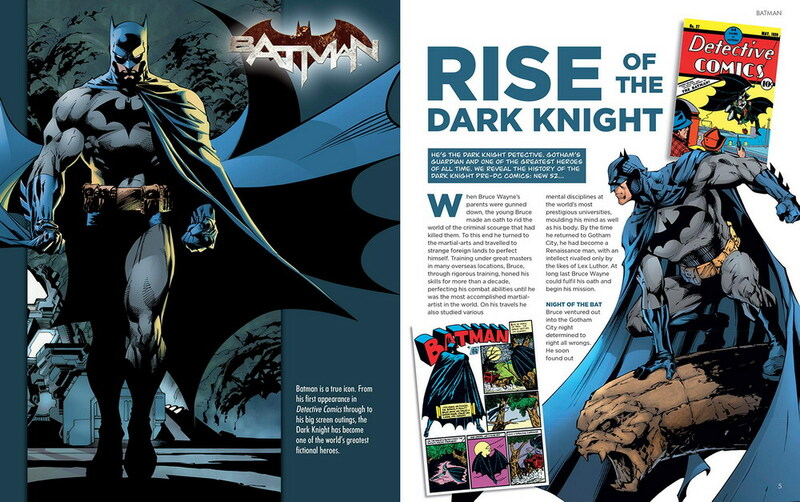 Along the way, readers will witness and gain keen insight into the many changes in the look and legacy of Batman himself. 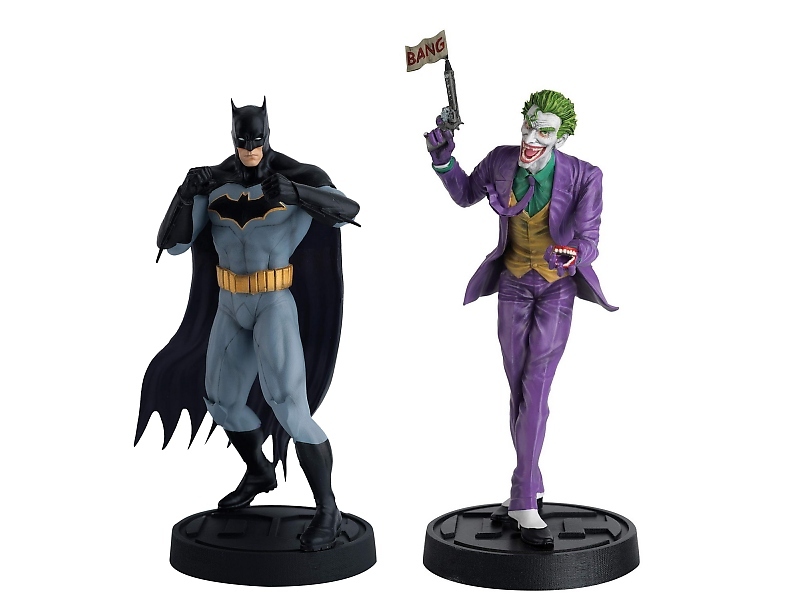 Plus, the book comes two masterfully sculpted, collector quality 1:14 scale vinyl figurines of the Dark Knight and the Joker are included in the set. Written by Nick Abadzis, Neal Bailey, Alan Cowsill, Glenn Dakin and Will Potter, Batman and the Joker: Best of Enemies features a 72 page visual reference guide that celebrates the greatest stories across the pair’s entire publishing history, including works by Grant Morrison and Scott Snyder. Spectacular visuals spotlight the artwork of Frank Miller, Greg Capullo and many others who have contributed to the legends of these eternal opposites. 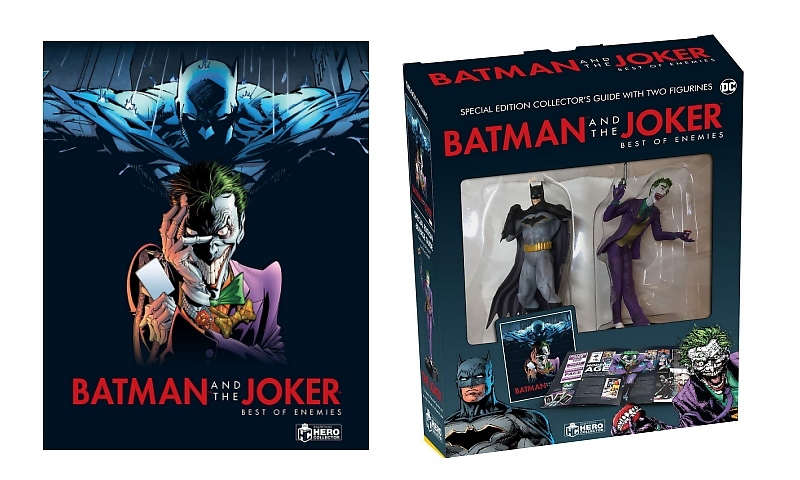 Best of all, the book comes packaged in a deluxe window-box featuring two masterfully sculpted, collector quality 1:14 scale vinyl figurines of the Dark Knight and the Joker! Like all Eaglemoss Hero Collector books, Batman and the Joker: Best of Enemies (ISBN: 978-1-85875-543-4) may be purchased from Amazon, Barnes & Noble, Books-A-Million, Indigo, independent booksellers, and select specialty stores including comic shops and gaming stores. It is priced at $49.95 in the US and $65.95 in Canada. Batman and the Joker: Best of Enemies is part of Eaglemoss Hero Collector’s “Premier Editions,” exquisitely designed, painstakingly researched visual guides and books that delve deep behind the scenes of some of most beloved icons of comic and sci-fi fandom.